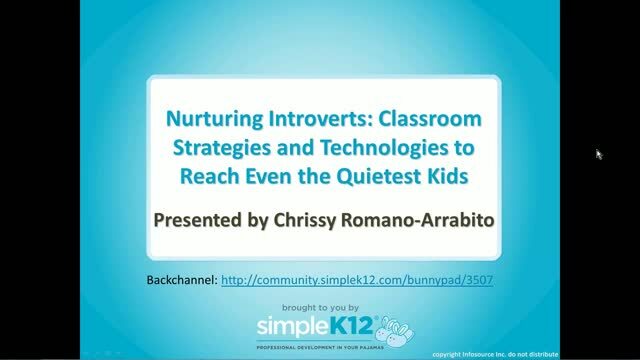 Do the introverted, quiet kids in your classroom often get overlooked? Would you like to give these kids a stronger voice and a better chance at success? 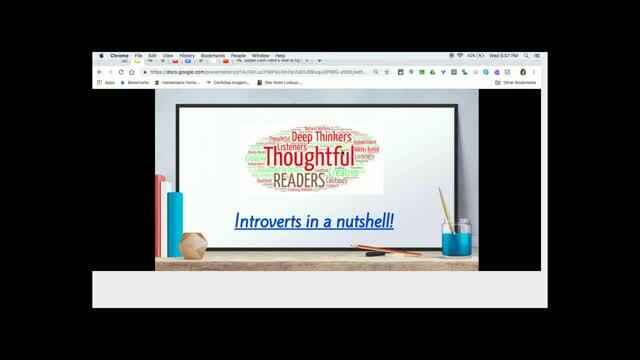 Join Chrissy Romano-Arrabito as she explores the nature of introverts and explains what distinguishes them from the "shy" students. Chrissy will share teaching strategies, tips for technology integration, and ideas for classroom design that can help create an environment that will allow you to better connect with these students. 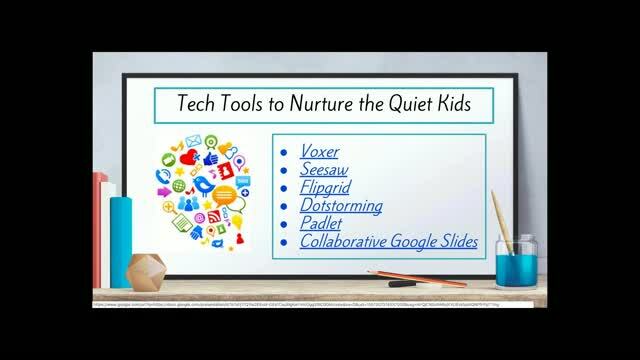 Come discover how you can help the quiet students find success in your classroom! Loved the webinar!! Great information! Some interesting ideas, especially for the beginning of a new school year! Getting the "quiet kid" to open up and participate is always difficult! 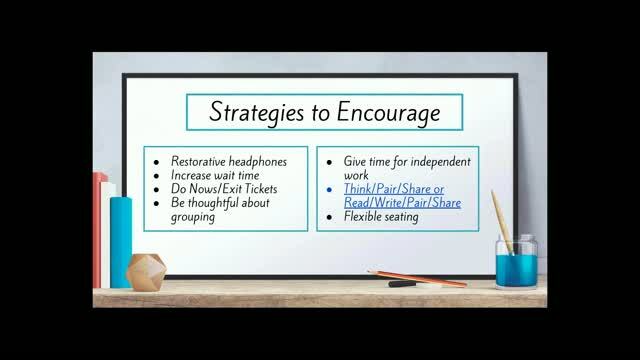 Thank-you for these strategies!